Andrew and Robert Pearce from Southsea, Portsmouth has been shortlisted for the ­ Entrepreneur of Excellence Awardat the National Diversity Awards 2016. Charities and Role Models from across the UK will gather at the breathtaking Anglican Cathedral on September 16th 2016 for The National Diversity Awards. Creatiques Bridal Boutique is an award winning company based in Southsea. Co-owned by passionate industry professionals Andrew and Robert Pearce, the Hampshire based team has just celebrated their 25th trading year within the bridal industry. Andrew and rob are partners in business and also in marriage, having met now over 16 years ago they confirmed there partnership when they became civil partners 10 years ago and then on the 18th September changing it to a marriage.this would have been Robs’ mum and dads wedding anniversary. Home to over 130 samples gowns from top designers Justin Alexander, Maggie Sottero, Eliza Jane Howell, Enzoani, House of Mooshki, Sincerity Bridal, Lillian West and Mark Lesley. With such a competitive and diverse industry to contend with, Andrew, Rob and their small team pride themselves on their ethos, offering a completely unique, and personalised service to each and every one of their brides, establishing a trusted and consistent relationship from “Your First Step Through The Creatiques Door, to Your First Step Down The Aisle…” The Creatiques Team has shown that they are consistent, concise and have been trained to an exceptionally high standard. Creatiques have recently won title of ‘Best Bridal Retailer’ at the 2015 Bridal Buyer Awards, held in Harrogate in mid September. 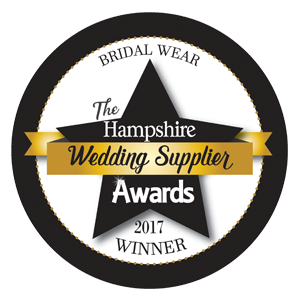 This prestigious title is highly recognised within the Bridal Industry and a great achievement for Creatiques, and local independent business’ within Portsmouth. For a small business to win such a prominent award is quite something. We are thrilled and completely overwhelmed with having received this shortlisting for this prestigious awards. gender, identity, sexual orientation, age, disability and culture. Service, Kier, MI5, MI6, GCHQ, PwC, Transport for London, ITV and The Open University. A spokesperson for Adidas commented “Our objective is to have a workforce that is as diverse in it’s make up as our consumers in the market place. everything that is good about our society”.